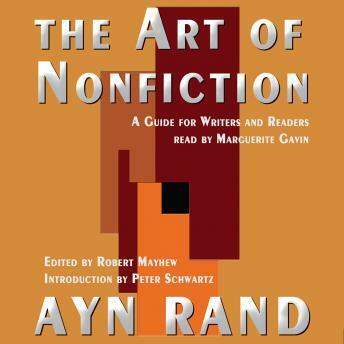 In 1969, the world-renowned author Ayn Rand gave a series of informal lectures on the art of nonfiction to a select group of friends and associates. These edited transcripts take the listener step by step through the writing process, providing insightful observations and invaluable techniques along the way. Rand discusses the psychological aspects of writing and the different roles played by the conscious and subconscious mind. She explains how to select a subject and theme, how to identify your audience, and how to write the first draft. From preparing an outline to mastering an individual writing style, this crucial resource introduces the ideas of one of our most enduring authors to a new generation.